Casino Arizona and Talking Stick Resort are adding a delectable new menu item that’s sure to please seafood lovers. Select restaurants at both properties are featuring lobster tacos along with mouth-watering sides and a drink for just $19.95. 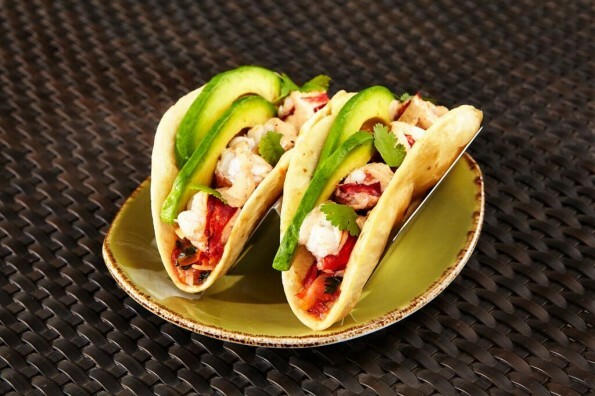 For those wanting a smaller meal, a singe lobster taco is just $7.95. The Arizona Room Patio Grill at Casino Arizona serves up two lobster tacos with your choice of a side, chips and salsa, and any non-alcoholic or alcoholic beverage (beer, sangria, tequila) for $19.95. Served Sunday – Thursday from 7 to 9 p.m. and Friday through Saturday from 8 to 10 p.m.
Blue Coyote Cantina at Talking Stick Resort features two lobster tacos with a side of rice and beans, along with a non-alcoholic drink or Tecate draft beer for $19.95. Served Sunday – Thursday from 7 to 10 p.m. and Friday and Saturday from 9 p.m. to midnight.